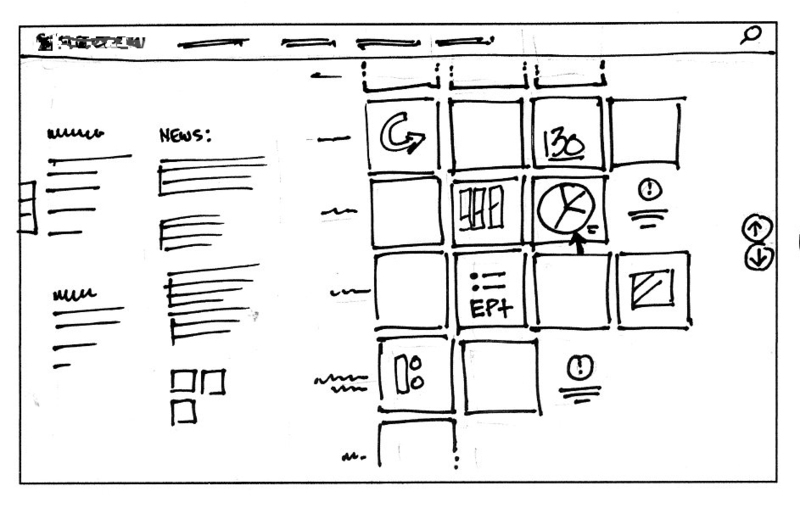 …while UI Design creates polished layouts. In many ways the UI and UX Designers share some overlapping skill sets. They are both visually sensitive, and understand a great deal about the users’ needs. However, typically the UI designer will start where the UX designer leaves off. Creating visual explorations. Multiple compositions or “comps” are created to give the team a visual representation and better sense of how the pages will look in the application or setting. These explorations will seek to define the color palette, fonts, exact sizes, images, and tighter layouts and grid structures. A “graphics standards” document will be created, so that other members may also work concurrently on the project. The guide insures consistency as others create additional pages or visual assets. Once look and feel are approved by the stakeholders, the UI Designer will create Redline Documents for the development team. These documents provide exact spacing, hex colors, font sizes, and all measurements and values necessary for the development team to create the pages that have been designed. In many cases, the UI Designer will be the point person, along with the team manager, in reviewing the pages created by the dev team. The goal at this point is to insure consistency with the provided layouts and specs. Ideally, the UX and UI Designers work as a team, bouncing ideas off one another and sharing opinions. Great design is seldom the result of a single person’s efforts – more often it is the result of collaboration with a talented team. ALSO SEE: What does a UX Designer do? Tags: Allovus, design, designers, interaction design, jobs, typography, ui, user experience, ux. Bookmark the permalink.